The Long Beach Wilson High School Alumni Foundation recently hosted its Fifth Annual Alumni Wine Tasting celebration on Sunday, April 30, at the Boathouse on the Bay and they had something to really celebrate this year. Recently, the foundation was presented with a major gift from Alumni, Mr. John Carlton, class of 1963. His generous gift of $150,000 to the foundation represents the largest gift they have received, to date. Mr. Carlton has such fond memories of his years at Wilson and felt it was important to make a difference to an institution that serves the needs of Wilson High School students. Part of his donation will help start an endowment celebrating the high school’s upcoming 100-year anniversary in 2026. At this event, the foundation presented the Wilson High School administrators with a check for $20,000. This brings the total donated to the school up to $70,000, since the group’s inception in 2012. The foundation was established by a dedicated group of volunteers led by Ryan and Karen Berry Autrey, both class of 1979. All funds raised support student activities and minor infrastructure improvements at the school for which public dollars are not provided. Recent donations include funds for commencement (Wilson is the only school in Long Beach to host their commencement on campus). Additionally, funds go towards campus beautification projects, grants for various teacher requests, student recognition items, heavy duty picnic tables around campus, the school’s music performance at Carnegie Hall, Grad Nite, student recognition and much more. History: Generations of successful, amazing, generous people have graduated from Wilson over the years…all very proud to call Wilson High School their Alma Mater. Since drastic budget cuts over the last decade have led to major cutbacks in every area of public schools, Wilson needs your help in funding student activities and campus enhancements to keep Wilson High School great. The Wilson High School Alumni Foundation was started in 2012 to facilitate this support and to keep alumni engaged by providing information, networking and social opportunities. Mission statement: The Wilson High School Alumni Foundation is an organization of Wilson High School Alumni dedicated to supporting Woodrow Wilson Classical High School activities and programs that benefit the students’ social and academic experience. Its purpose is exclusively charitable. Specifically, your tax-deductible donations will be used for student activities, such as graduation expenses (no funding whatsoever is provided by LBUSD), student formals/prom, student rallies and more. In addition, many unfunded site improvements are desired as Wilson approaches its 100-year anniversary. 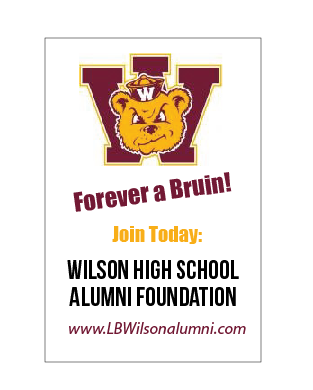 Show your Bruin Pride and join the Wilson High School Alumni Foundation Today! 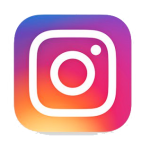 Click on “Donate Now” and follow the directions to make a donation via the website of our fiscal partner the Long Beach Community Foundation, and check out the “Notices/Events” page for details on upcoming activities.